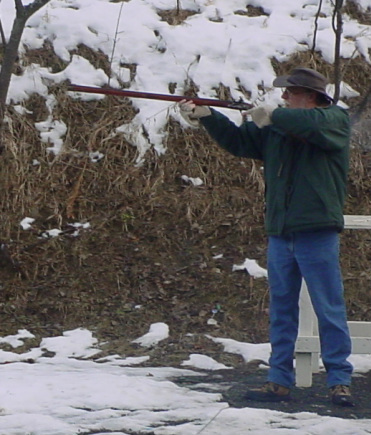 Come celebrate America's golden yesterday with the Twin City Muzzle Loading Club (TCMLC), Inc. Join the men and women of TCMLC as we relive the old ways and revive skills of a bygone era. Discover an America of keen eyed long riflemen, skillful craftsmen, cheerful campfires and the aroma of hearty meals simmering over open fires. Don't watch from afar - join us in learning early American frontier skills, sharing the pride of craftsmanship and the spirit of self-reliance that sparked our humble colonies to a nation of greatness. Join us at our monthly Members meeting and see what it's all about--first Wednesday of each month at 7:00 p.m.
A monthly newsletter which includes a calendar of club and local events and minutes from monthly club meetings. For more information about the club just fill out the form to the right.